Just got an e-mail from the folks who put on Vogue Knitting Live saying that the awesome Nicky Epstein is going to be in attendance at the Chicago event next month! She’ll be teaching classes on knitting on top of the world, knitting in circles, block by block and embroidering on knitting. The event takes place Oct. 26 -28 at the Palmer House Hilton Hotel in Chicago. 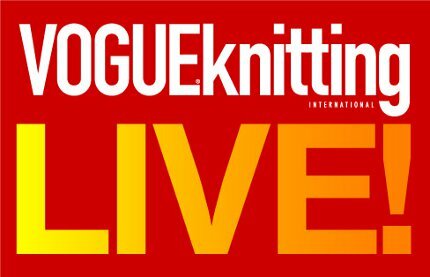 I hear that rooms at the Palmer House are all booked for the event, but you can contact Vogue Knitting Live for information on booking a room at a nearby hotel. Is anyone planning to attend? I wish I could but that’s less than a month before my book is due so I don’t think I’ll be leaving the house!